If you own a serger or have access to one, it can be extremely useful to you in the hemming process. A serger creates a cleanly hemmed edge in one single step, so it’s faster than most traditional hems. There’s a bit of a learning curve with any serger, but once you get used to your machine you may be finding excuses to hem your sewing! 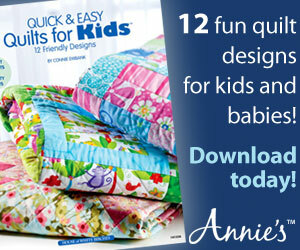 A serged hem will sew two pieces of fabric together with a neat edge that won’t fray (it even trims as it sews), so it’s perfect for baby blankets, table linens, or handkerchiefs. 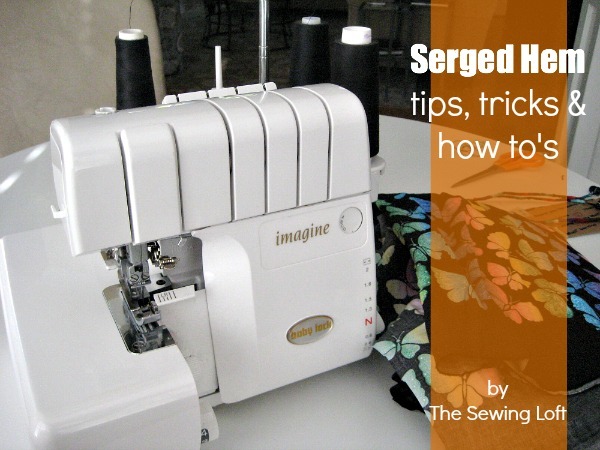 Use the serger as the first step in hemming any fabric – serge the raw edge of the fabric and then press it and hem it as normal; the serged edge means you only have to make one fold in the hem before sewing because the serger stitches will keep the fabric from fraying. Use the rolled hem setting on your serger to create a neatly rolled hem on lightweight fabrics or table linens. Apply a lace trim to the edge of your fabric (after making a basic rolled hem with your serger), then do a second set of rolled hem stitching to catch the lace with the fabric edge. Fold the fabric edge under for a lace trim and stitch it in place on your regular machine. Use your serger’s differential feed settings to create a lettuce-style edging on stretch fabrics. This gives the edge of the hem a ruffled or wavy look. The serger will trim your fabric as you sew, so don’t worry if the raw edge is a little bit uneven or wavy. Use a coordinating thread to hide the serged hem or choose a contrasting thread to make the seam the star of the show. A texturized thread, such as the Wooly Nylon, provides a really lovely pop of color to items like cloth napkins or dish towels. You can even put a different color thread on each spool of the serger to create a variegated effect. Refer to your Stitch Card for different seam options. The MOST IMPORTANT TIP I can offer is: Never serge over pins! Not only will it break your needle but doing so can damage your machine. Set your serger for an overlock stitch (basic hemming) or a rolled stitch (lighter fabrics or more polished hemming). Trim the fabric so that it is mostly neat and at the length you want – if you don’t plan to fold it under, make sure your item measures within ¼ inch of your desired finished measurement. 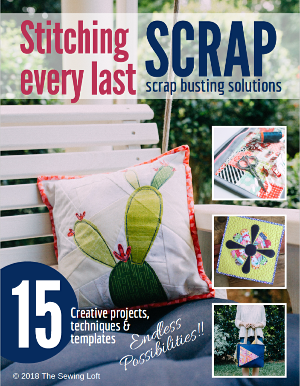 Sew a few stitches on your serger without putting fabric into the machine yet – this will create a chain of stitches to start you off. Slide the fabric into your serger so that the edge is neatly trimmed by the serger knife. Serge down one whole side and then pull the fabric out but continue to stitch for an inch or two so you have another chain of stitches on the end. If you’re sewing something with a corner, start a new seam for each edge. Be sure to tuck those tails in! Use a darning needle to weave the thread chains back under the hem stitches and apply a small amount of seam sealant to the corners to keep the thread from unraveling. 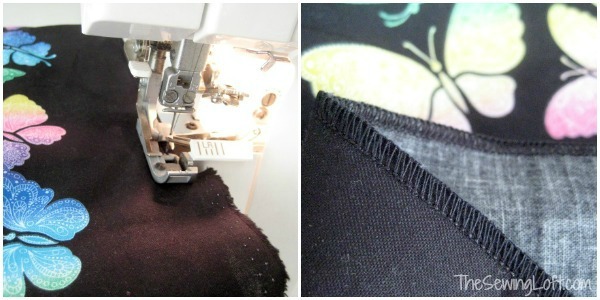 Have you ever used a serger stitch to finish a hem? We love to see your handy work! Feel free to add a picture to our flickr group. I need a serger, I just don’t know how I can live without one! Thanks for showing me what it can do and giving me some ideas Heather.